This is a large three-bedroom log cabin that is one of the oldest at Burntside and was built between 1913 and 1919. Located part way up a bluff (via a concrete ramp) it offers privacy and beautiful views of the lake. A large deck with seating and a charcoal barbecue is the your entry to the cabin. The first room was originally a screen porch and is your combined cooking/dining and sitting area; the kitchen contains a full-size refrigerator/freezer, microwave, gas stove with oven and is equipped with basic dishes, coffeemaker, toaster, pots & pans, wine glasses and utensils for six guests. Screened, sliding paned windows open to wonderful views. One bedroom has a queen-size bed, another has two singles, a bathroom off these two rooms is equipped with a shower. The third bedroom has a king-size bed and bathroom with the original clawfoot style tub (circa 1923) with the shower above. 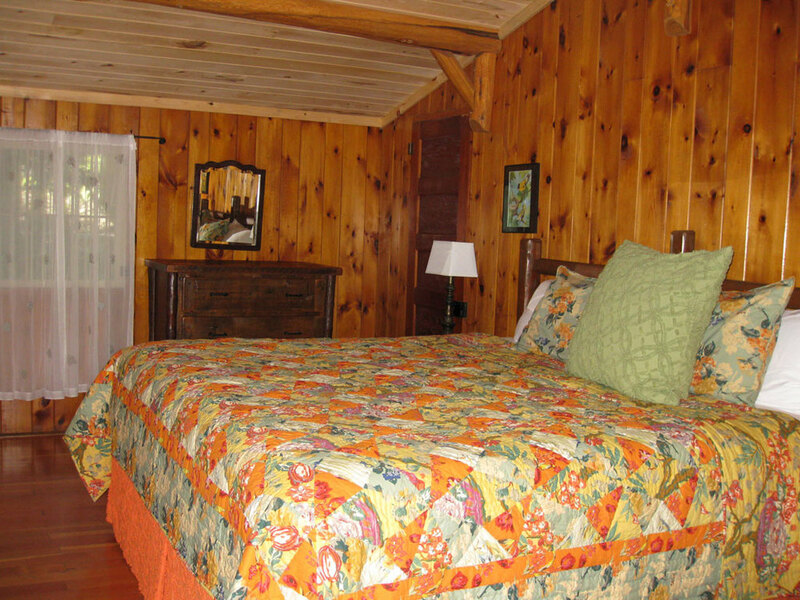 The interior of this accommodation is knotty pine with log accents and wood floors. 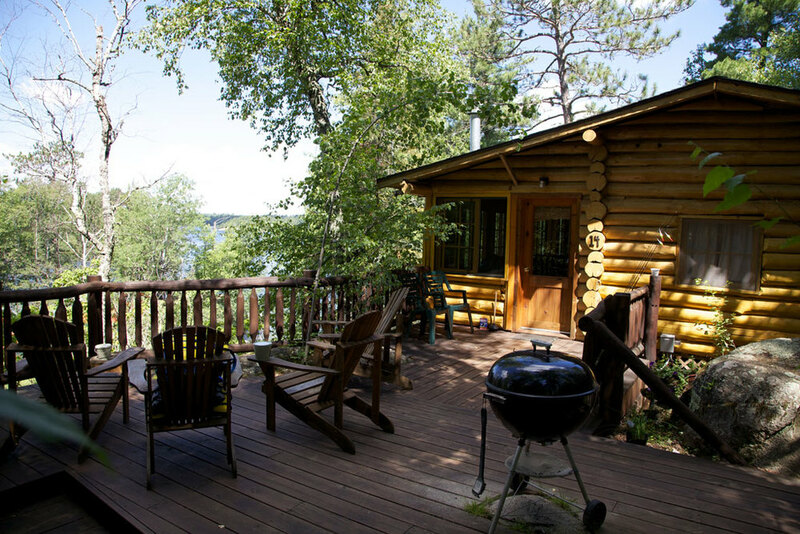 The lake is only 120' away from the cabin, but is not as easily accessed due to the private situation of the cabin on a hill. Parking for your car is available from a separate road and a woodland path. Maximum capacity is six guests. The 2019 rate is $ 3 413.00 per week, or $ 536.00 per day.